Backhoe 210 - Reach It! - Move It! - Crush It! 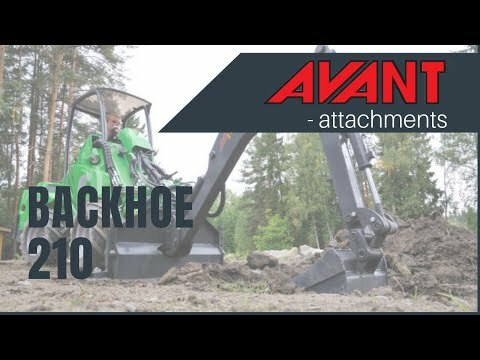 Avant backhoe 210 was renewed completely in 2009. The main focus in design was user friendliness and straight forward construction. Backhoe 210 is slightly larger than its smaller sister backhoe 170, which makes it more versatile and gives more digging depth. Boom movement speeds are steplessly adjustable, which makes operation easier also for inexperienced users. To facilitate the digging the frame of the backhoe is as low as possible, which gives unrestricted visibility to the work area.